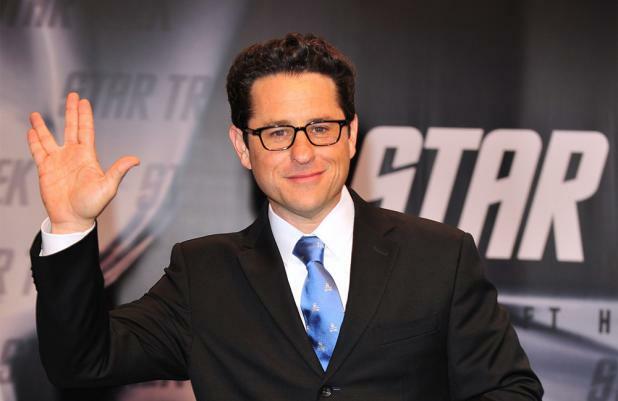 J.J. Abrams hasn't thought about 'Star Wars 7' yet. The director - who was confirmed to helm the highly anticipated sci-fi blockbuster last month - won't begin working on the film until his current project, fellow space saga 'Star Trek Into Darkness', is in cinemas in May. Speaking to BBC Radio 5 Live, he explained: "It's too early to even talk about it. We're very excited. The thing we're working on is finishing the 'Star Trek Into Darkness' movie which comes out in May. "It's a little bit like being in the middle of lunch and trying to think about what's for dinner." Although Disney - which bought the rights to the lucrative franchise from original director George Lucas last year - announced a 2015 release for the seventh 'Star Wars' film, J.J. revealed he hasn't committed to a release date. He said: "We're in the middle of 'Star Trek' so to think about 'Star Wars' and the release date, all of that's far less of a concern than making a movie that's worth your time." The filmmaker added that it was "incredibly surreal" to be asked to direct 'Star Wars', but insists it will not affect his work on the 'Star Trek' franchise - which he successfully rebooted in 2009. He said: "They're very distinct and separate entities."